It started with a photo book, page after page of images of Italian countryside homes, the sort of old-world abodes that awaken certain feelings — comfort, simple beauty, and a sense of place. The book was required viewing, an assignment of sorts from a longtime Giffin & Crane client with whom we shared a considerable body of work. This project, however, would be our biggest collaboration yet. 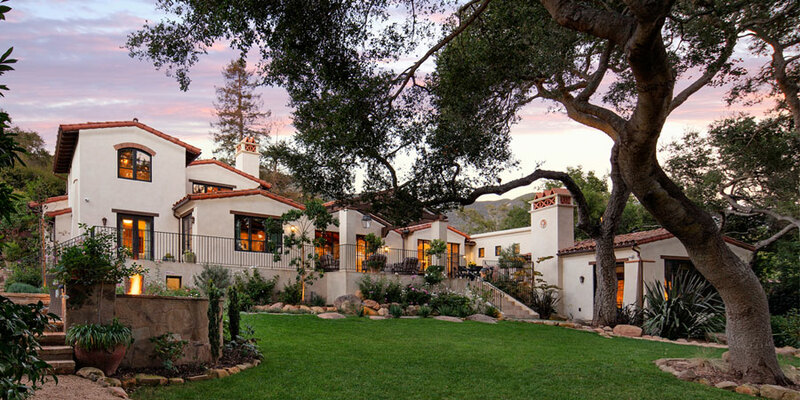 “She was hoping to invoke some of the same feelings of the homes in the book with her own home here in Montecito,” remembers Project Manager Derek Shue. The client’s relationship with Giffin & Crane had grown since an early — and successful — kitchen remodel, then an upgrade of the home’s detached guest cottage. This big next step would be a down-to-the-studs remodel of the four-bedroom, six-bathroom main house. To overcome challenges head-on, the homeowners teamed up early with Shue, Bruce Giffin, and architect Tom Meaney, who has a knack for transforming disjointed layouts into flowing living spaces with sophisticated lines. Along the way, the project evolved as the clients adjusted their ideas based on site constraints and budget. Working together, the team was able to open up interior flow without the added expense of significant feats of engineering. And down the homestretch, custom paint and stain finishes dominated much of the final workload, with Shue — who had worked as a painter and finisher early in his career — rubbing elbows with Santa Barbara’s Augustine Painting to develop samples. Interior doors, for example, underwent an eight-part process to win over the clients.